Other Social Media reviews by real, verified users. Find unbiased ratings on user satisfaction, features, and price based on the most reviews available anywhere. LinkedIn Elevate is designed to make it easy for users to discover and share content curated by experts at their company. ContentStudio gives you the ability to discover topic-relevant content filtered by social shares, different media types and virality. Select posts individually from your topic feeds or setup an automation campaign with your own rules to publish content automatically to your selected channels. Later helps to plan, schedule, and manage content for Instagram. 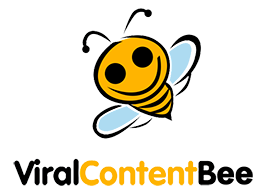 ViralContentBee.com (formerly Viral Content Buzz) is the free platform allowing you to put your content in front of social media influencers for them to share it on Twitter, Facebook (including pages), Pinterest and StumbleUpon. It's an effective way to increase your content reach, generate more traffic and leads. All the content goes through quality assurance and the team keeps a close eye on the quality of both the content and social media accounts. It's important that all the resulting social media engagement is real, non-automated and results in more social media interactions. Viral Content Bee is all about real social media sharing and meaningful connections. VCB also holds weekly Twitter chats with industry experts to educate the community on the importance on the high-quality approach. 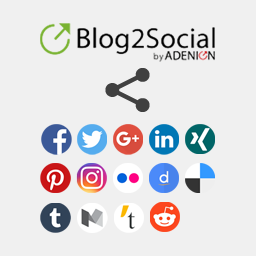 Blog2Social is an all-in-one social media automation solution for social media workers and teams, marketers, small business owners, solopreneurs, corporate blogs, agencies, and businesses of any size. Blog2Social is available as integrated WordPress application or as an independent web app. Supported social media networks: LinkedIn (Profiles, Pages), Facebook (Profiles, Pages, Groups), Google+ (Profiles, Pages, Groups), Twitter, Instagram, Pinterest, Flickr, Reddit, Tumblr, Medium, Torial, Diigo, Bloglovin', and XING (Profiles, Pages, Groups). Top 4 Features: Schedule, share and re-share your social media content automatically. Tailor and share your posts at the best times and in the best format for each network and community. Schedule and cross-promote your content on more than 14 social networks at once. Including profiles, pages, and groups. Track and organize your scheduled content and team activities with the drag and drop editorial calendar. Recur Post is a smart social media scheduler, that allows to get consistently predictable results automatically. Juicer is a simple way to aggregate all of the brands' hashtag and social media posts into a single social media feed on the website. Now you can amplify your engagement with Social Press Kit, a real-time hub for your network to access on-brand, ready-to-post social media content. Simplifying sharing for your supporters boosts your reach to activate new donors, volunteers, customers, and advocates. Lately is an all-in-one marketing dashboard designed to pull together content, project management, analytics and more in one place, at a small-business price. GetFans.io is a worldwide leader in the YouTube promotions and marketing industry. The platform was developed by experts who managed to create a state of the art algorithm that is constantly improving day after day, making sure your YouTube channel & videos goes viral. 22Social is a Facebook approved technology that gives users the ability to create Promo Pages. Combin is a smart tool for skyrocketing your Instagram marketing. Get genuine followers, likes and comments. Find influencers and new real followers. Communicate and engage easily. Engage Social is a platform for publishers to effectively engage their audience to share more of their content on social media. Social media drives an ever increasing amount of referral traffic to publisher brand pages. With Engage Social, publishers can co-opt social to become a strategic part of their audience growth and monetization strategy. The Engage Social solution delivers on the above promise through a branded Share button that encourages the site visitor to share more, view trending articles and keep them coming back to improve their score on the social influencer leaderboard. The key value for publishers is they now gain the composite social identity of their top social influencers. Postblazer allows you to swiftly schedule content to multiple social media accounts at once. Saves time and increases social engagement. Digital marketing platform for boosting engagement & conversion of content marketing. Warfare Plugins is the social sharing WordPress plugin that helps your readers better share your blog posts. ArchiveSocial is business-grade social media archiving. Smart automation software for shaping healthy online communities. Crate is a social media management tool that helps you identify and discover quality content tailored to your interests and schedule that content to be shared over time. Crisp is the global authority on social media risk which combines powerful technology with human analysis to deliver 24/7 social media moderation and monitoring. Curator.io is a brandable social media aggregator for brands, agencies, online shops, sports teams, events and others. Create social hub to assemble user's activities through social media. Make them your ambassadors and allow them to sell for you. Power your hashtag campaigns. Fourstarzz offers influencer marketing metasearch to easily search and compare influencers from multiple sources in one place. Link in Profile lets you add links to your Instagram images and send your followers where you want them to go. OneAll's social login solution enables your users to sign into their accounts on your website or mobile app using their login details from more than 30 social networking sites such as Facebook, Twitter, LinkedIn and Instagram. This eliminates lengthy registration processes for new users and forgotten usernames and passwords for existing users. It also avoids spam and bot registrations. Plan Hashtag is an online web application designed to allow users to auto post to Instagram and schedule and manage multiple Instagram accounts simultaneously. 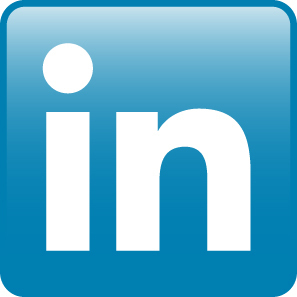 Drive more leads to your LinkedIn profile. ProTop automatically visits linked in profiles based on your search criteria. Ensuring your LinkedIn Profile is among the TOP most visited. Publing is a social media aggregator that collects posts from the most popular platforms and displays the curated content on various screens. Publing is used by businesses to reach more customers with the power of user-generated content. Publing provides an online showcase to businesses using social media, which turns the customers into marketers. Smash Balloon provides fully customizable social media feed plugins for WordPress. SocialGO enables users to create custom social networking websites. SocialWall Pro provides social walls designed to reach, engage, and connect live audiences at events, meetings, conferences, brand activations and online. Somiibo earns likes, retweets, comments and followers quickly with optimal settings. This module uses browser trusted user-input events. Twitter actually thinks a real user is navigating the site and interacting with content. You can bot multiple accounts with Somiibo. Each module can have its own settings and breaks! Stream is an API service designed to help software developers and product teams build feeds and messaging in their apps. Leverage Stream to build the most engaging activity feed without worrying about the underlying storage technology. Advanced features such as aggregation, ranking, real-time and personalization enable your product team to optimize your app’s engagement and retention. Add chat to any application in a matter of hours with our beautiful UI Kit, easy to use React Components and a powerful API. Swat.io is a premium social media management solution for agencies and enterprises. It enables efficient and collaborative content planning and publishing, internal approval processes, consistent tracking of user interactions and efficient community management and customer service. Trendsmap shows real-time trending Twitter hashtags. Tweeps.co is a Twitter application that helps the user schedule tweets the usual way or from RSS Feeds. Tweetfull allows you to engage with potential customers by favoriting or retweeting their tweets around your niche. Tweet Pup platform allows you to put your Twitter account on autopilot. Using AI, we find your customers on Twitter and engage with them. Twiends helps organizations to grow their audience on twitter. 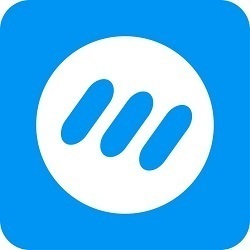 Twtpoll offers Multi-platform Social Media Surveys and Quizzes. AIR Social Keyboard is an application taht connects to the user's social networks and address book giving them immediate access to all their content, contacts and friends. Akio Spotter is a complete listening and analytics system of media coverage, social conversations and customer feedback. It monitors what's being said about your brand, identify your influencers, measure the impact of your campaigns, and drive your digital strategies. In addition, our team of analysts can create tailor-made deliverables, such as ad hoc reports, studies and barometers. AppsConsole is a marketing platform for generating & managing Facebook tabs. Hi there! Can I help you find the best Other Social Media solutions?